Known as a superfood, cherries are a small, round and red-coloured fruit. They are eaten all around the world and referred to as one of the most romantic fruits. Not just raw, but cherries can be consumed in many other ways like smoothies, tarts and pies. Along with being tasty and juicy, cherries are one of the healthiest fruits. They are the powerhouse of antioxidants. They are a good source of fibres, nutrients and vitamins. Cherries can also help with sleeplessness, nerve disorders and many other mental health problems. The main two forms of cherries are the sweet and sour cherries. Dark-coloured cherries are apparently more beneficial for health. 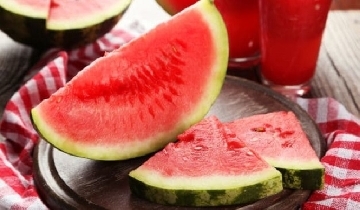 The dark colour is provided by an antioxidant. The fructose in cherries can provide energy without harming diabetics. Along with that, these little fruits help keep bad breath at bay and help with other oral health problems. From maintaining the heart health to preventing seasonal infections like cough and cold, this summer fruit can prove beneficial in many ways. Not just raw, but cherries can be consumed in many other ways like smoothies, tarts and pies. Cherries can help in boosting immunity. 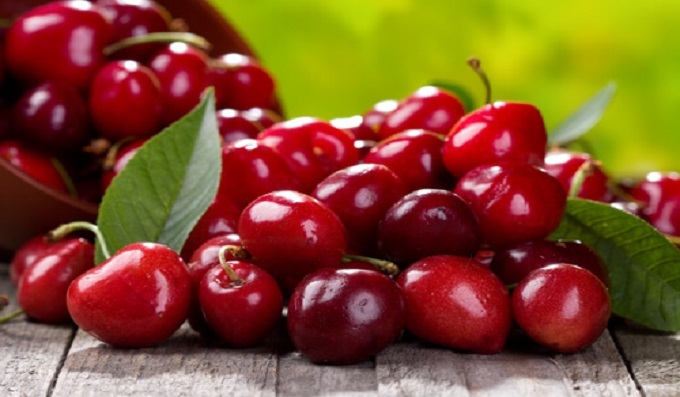 Cherries which are sweet in taste, the ones used in pies and smoothies, can decrease the immune strength of the body. The sour variants of cherries, however, contain much less amount of sugar. Melatonin hormone is naturally occurring in the body. This melatonin is also present in the cherries. It helps in reducing inflammation in body. Inflammation is helpful in maintaining various bodily functions. But sometimes when inflammation increases, body is at a risk of diseases like arthritis. Thus, cherries act as an anti-inflammatory agent. Cherries also contain Vitamin C that can help maintain the immune system. Proanthocyanidin is a colour pigment present in the cherries. This pigment can regulate sensors in the gut. Studies have shown that antioxidants in cherries have helped patients with arthritis. Anthocyanin content is highest in cherries, as compared to all other fruits in the berry family. This Anthocyanin is rich in antioxidants and anti-inflammatory properties. Including cherries in your diet can help in reducing the joint pains. Consumption of cherries can also lower the risk of osteoarthritis and gout attacks. Cherries contain phytosterols. This compound helps in maintaining immunity and lowers LDL (bad) cholesterol levels. Sour cherries provide similar cardiovascular health benefits like the prescribed drugs. This can help to regulate the fat and glucose levels in the body. Vitamins, antioxidants, and minerals like phosphorus can protect heart against oxidative damage. Cherries can help in reducing the risk of heart attack as it helps in reducing bad cholesterol, regulates the heart rate and prevents the hardening of the walls of arteries. Melatonin in the body also helps in maintaining the sleep cycles of the body. Sour cherries contain high levels of melatonin. Regular consumption of cherries can help boost the amount of the melatonin hormone in the body. This can help you achieve a sound sleep and prevent cases of insomnia. This hormone is most effective when cherries are consumed in the form of juice. A glass of cherry juice a day can help you get an accurate amount of sleep required by the body. Flavonoids and carotenoids present in cherries are said to improve the brain function. Anthocyanin in cherries acts as an anti-inflammation agent in the brain. Antioxidants in cherries prevent the nervous system from the age-related disorders. Thus, cherries can be helpful with nerve disorders like Alzheimer"s disease, Parkinson"s disease, depression, anxiety etc. It also helps in the improvement of memory. Cherries are the storehouse for antioxidants like flavonoids and carotenoids. They are also rich in Vitamin C. These can help in maintaining aging disorders like hair loss, wrinkles, weakening of heart, loss of vision, muscular degeneration and hair loss. Cherries reduce the risk of colorectal cancer and prostate cancer. Cherries are known to be rich in fibre content. The fibres in cherries can help relieve a person against constipation. The acid present in the cherries helps in the treatment of digestive issues. The antioxidants in cherries can help in managing digestive system and also stimulates secretion of bile juices. The sweet and sour versions cherries contain chemicals like anthocyanins that can help boost the insulin content. This can help in maintaining the blood sugar levels in the body. However, more research is required to see if cherries are helpful for people with diabetes.